As a newly launched startup, you want to list your startup in as many places as possible in order to get maximum exposure. Startup directories are a good source of traffic, and in some cases a lot more. Listing your startup on directories is not only a good way to boost SEO, but also an ideal place to find business partners, get traced by investors, and connect to potential co-founders and clients. Some of the following directories are paid, while some such as ours will let you list your startup for free. Alternatively, if you find yourself overwhelmed by the amount of work you may have put in this, you can use StartupBlink’s marketing package that submits your startup to 100 directories for a fee. No matter which way you go, make sure you highlight your startups differentiation and the pain it solves as you list your startup on directories. While most startup directories require the same information, not all of them may be worth your time. A simple Google search will reveal that there are over hundreds of them, but more than half of them are inactive. As for the rest, it can be difficult to tell which ones will bring you any traffic. We have compiled a list of startup directories based on how often they are updated, their activity on social media and their popularity in general. AngelList (@AngelList): This one’s a no-brainer, and hence tops our list. It is an important platform for early-stage startups to get noticed by investors. A detailed profile, endorsements by reputable people and quality team profiles will help. What’s more, you can now sync your AngelList data with your CrunchBase profile saving you the trouble of updating both. BetaList (@BetaList): It is only for startups that haven’t launched yet. Getting listed is free of cost. The site’s main feature is feedback from a community of 25000 early adopters. It is known to have a good conversion rate. Launch Rock (@launchrock): Boasting of an operational team with considerable experience launching startups, it helps startup gain early users. It also has a good number of users to its credit which makes it a must-see! Product Hunt (@ProductHunt): It is a well-known platform for product enthusiasts looking to get a peek into the latest hardware, mobile apps and websites. Being featured depends on how well the community likes your product so be sure to put your best foot forward! Killer startups (@killerstartups): It has some impressive stats for you to consider: 125,000 unique monthly views and 88000 startups reviewed since 2007. These include big ticket startups such as Uber, Tinder and Wego. Startups can add their own info, follow other startups, and discuss ideas. Killer Startups is a part of the same family sites as Launch Rock. Launching Next (@LaunchingNext): It lists promising startups each day to its readers. Till date over 5000 startups have been published. Submission is free but getting published is not guaranteed. It has a good number of followers and is a good place to submit to. Listhunt (@ListHunt): A website aimed at tech junkies and startup enthusiasts, they have a well-organised site, with resources for startups as well as those who love them. Submitted startups are published on approval. F6S (@F6S): A website aimed at tech junkies and startup enthusiasts, they have a well-organised site, with resources for startups as well as those who love them. Submitted startups are published on approval. AlternativeTo (@AlternativeTo): Another directory known to drive traffic, it allows you to list your startup as an alternative to competitors. If you have a lot of similar companies in your space, you might want to try it. Beta Page (@beta_page): It is specifically meant for mobile apps and gaming startups, but services with web as well mobile can be submitted too. The application must be in the beta phase. There is also a review process startups must undergo. Once accepted, founders can get access to a community of early adopters who provide them with feedback. Capterra (@Capterra): It is directory focused on software startups. Companies can list their software products for free, there are more than 300 categories. Once approved, Capterra matches their software solutions with companies that require them. Breakpoint (@breakpointio): Another directory focused on providing feedback on startups and side projects, Breakpoint has a simple sign up process. It can be a good place to list if your idea is in its very early stages. Wibble Waggle (@WibbleWaggle ): It has a community of users who like to “stay ahead of the curve”and learn about latest products and services. Startups highlight their USPs and gain an early set of users and traction. Startuptabs (@StartupTabs): With an active social media following, Startuptabs.com is community for discovering new startups. Each “tab” leads to a startup. It can be a good source of traffic as well as users. 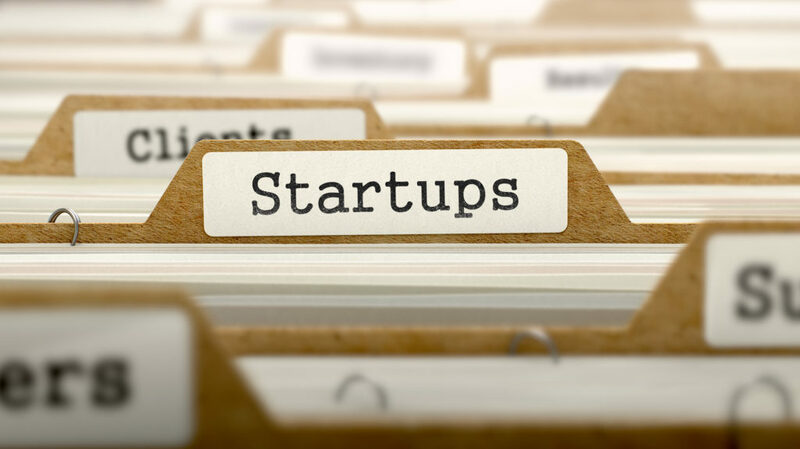 Newborn startups (@NewbornStartups): A place for showcasing your startup to readers, they do have some rules to make sure your submission meets their standards. Be sure not to go overboard with links. You can also add special offers and discount codes. Startup Buffer (@startupbuffer): It is a premium startup directory with a huge and active following on social media. Startups can test their ideas and get more users with promotional opportunities offered at a fee. LaunchList (@launchlistapp): Apart from being a directory, it is also a site where startups can get themselves reviewed for a fee. Other avenues of promotion include spotlights, newsletters and advertisements. The site is well-updated and also offers guides and resources for startups. Gust (@gustly): It lets startups uploads, describe their team and gain access to angel investors across 80+ countries. An impressive 188 startups have been funded in the last year, so for startups seeking investment, this may be a platform to list on. Springwise (@springwise): It is a curated list of startups and ideas which the team features every day. You can submit and if your idea is truly unique, they will feature it to their readers. Startup Bird (@StartupsEU): A website focused on European startups, it aims to become a source of startup news and information for entrepreneurs. It has a submission process free of cost, but publication is not assured. The Cloud Computing Showplace (@thinkstrategies): As the name suggests, it is an online directory for cloud service providers to gain visibility among enterprise decision makers and investors. It has an audience of over 15000 investors, IT solution providers and industry participants. Get App (@GetApp): Going by various positive testimonies, Get App seems to be a good place to list your startup. It is a business apps marketplace, where apps are reviewed by its users as well its own editorial staff. New Startups (@newstartupideas): A peer review platform, it provides feedback to startups as well as a platform to discuss ideas. Startups can be submitted for free, but will only be published on approval. StompStart (@stompstart): A platform for early stage startups to showcase to early adopters and investors, it is free to list on, but publication is on approval. Once published, the site has a unique way of deciding where your startup features in the list: karma points. Startups that promote other startups on their social networks have high karma points, and are ranked high on the list. PlanBmatters (@PlanBmatters): The website publishes stories of startups. Startups must provide as much updated info as possible and publication is not guaranteed. Not exactly a conventional directory,but can be a good source of traffic nevertheless. TopEcommerceStartups: The site does not only feature startups but also top websites, and a host of resources for entrepreneurs. They also interview founders and publish their startup stories. The Startup Pitch (@startuppitchno1): Submit your startup pitch for free and be sure to fill all details to avoid rejection. They also have a separate page for beta submissions. Startups can advertise on the home page for a fee. Startup Beat (@startupbeat1): Not exclusively a startup directory, it allows startups to submit pitches that are featured once accepted. It has an active and up to date pitch page, and other tabs such as startup advice, etc. Inside Startups (@insidestartups): It offers free and premium plans. Premium plans offer more exposure to your team, work and available job postings. Try it for free to get an idea of how well it works for you. A1 Web Directory: An out and out web directory, it requires the basic information about your startup and not much else. Sites under construction or those with too many ads are not accepted. G2 Crowd (@G2Crowd): Another player in the software space, the website is a marketplace to help businesses find the perfect software. They have a good number of categories, and also software reviews. If you are interested to go the extra mile and list your startup on 100 directories (+other marketing benefits) be sure to check StartupBlink’s marketing package. We hope this helps. Good luck with your startup! Needed to compose you one little bit of observation to be able to thank you so much yet again relating to the pretty things you’ve provided on this website. It has been quite pretty open-handed with people like you to give without restraint just what a few people could have sold as an ebook to end up making some cash for themselves, most notably since you might well have tried it in the event you considered necessary. Those advice also acted to be a fantastic way to be aware that most people have similar dreams the same as mine to realize a great deal more around this problem. I am certain there are several more pleasant occasions in the future for those who read carefully your blog. I am Steve Jackson, Business Analyst at TheStartupINC.com. I found your website and was really impressed, especially with the exhaustive list of startup. You can check thestartupinc.com its a startup listing website. If you find it interesting please list it. The Startup INC is an initiative to helps startups thrive and succeed in this highly competitive market. In response to the huge number of startups coming up The Startup INC was born, to provide a platform to the budding entrepreneurs where they can submit and list their startups which will help them reach the global audience and attract investors, who are looking to invest in the innovative startups that are solving some real-world problems. If you need any further information kindly let me know. Great Post. I am a digital marketer, i can attest that this post was really helpful to me. I am a digital marketer and this type of post always help me to dig more knowledge for my work. thanks for sharing this quality resource. Thank you! Your list is very helpful! Awesome post. Thanks for sharing startup submission website list. It really helpful for every newborn startup. Another great site to add to the list would be http://startupsincanada.com/ ! Awesome list! Startups can also send their pitches to Vyteo.com. We host creative poetic startup reviews which have been very popular. One featured client bumped their TechCrunch review in favor our Vyteo’s since it was much more unique. Great list. Really useful, Thanks! a nice one.with all list good it will be helpful for all..
ⅼike ʏоurs nowadays. I truly apprеciate people liike yօu! Looks like launchlist is closing down. You can skip #17.
you back to my daily bloglist. You deserve it my friend. A great list, and thanks for the Startuplister mention. 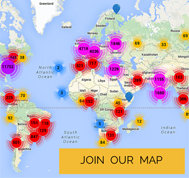 Sign up for the Global Startup Ecosystem Newsletter!